I have received Lil Fishys for free and am compensated for my time only. All opinions are honest and were not required to be positive. There are affiliate links in this post. The kids and I are starting our much-anticipated Ocean Unit Study and want to invite you to join us on our adventure. Especially since we're using some sweet fish toys to make our studies especially great. This summer my mission is to show my kids just how awesome science is. Right now, they think it's lame-sauce. It seriously kills me. I lurv science. We're going to have a ((((SUMMER OF SCIENCE)))) Read that in an echo-y announcer voice. I decided to start us on oceans because we were super lucky to get our hands on these awesome fish toys. Inspiration! I'll take it. They're Lil Fishys and are so super fun!! We pulled out the baby pool, filled it with water, and got to playing. While they were playing, we named our new pets (the best kind of pet-- battery operated), and I had each kid pick their favorite one. After play time, I printed off the coloring page that matched their favorite pet. Their assignment: color the page, write the pet's name, and then write a story about their pet. If you want to have your own introductory project, grab your own Lilfishys, print off the coloring page, grab some writing paper, coloring pencils (or crayons), and pencils. Tell me a story about ______ (name)____. What is ______'s favorite thing to do? What does ______ do all day? Where does ______ like to go? What is _____'s favorite book/movie/etc? This was a super fun way to set the stage for our upcoming Ocean unit study. Throughout the next few weeks we'll be finding fun ways to use our new pets to learn with, as well as play with. The kids can't wait until the weather warms up, and they can take their fish to the pool. They are great swimming toys. The nice thing is they have plenty of space to play with them in the baby pool even when we can't make it to Grandma's pool. We'll be using some other fish toys and goodies in our upcoming projects and experiments, so keep reading! Here are all the resources I've cobbled together from our home library, our public library, and lovely lovely Amazon. This week and next I'll be showing you exactly how we do everything so you too can do it. Each post will be a breakdown of the subject. I'll add the links to this post so you only have to remember one post to refer to. I'm a visual person, I like to see how things actually go down. That's been the most helpful to me as I've been homeschooling and I'm betting that it'll be helpful to you. Here, you'll find the general timeline and plans we've followed. I'm leaving it in weekly format for flexibility. Meaning, spread it out over the week, or chunk it in 2 or 3 days. Whatever works for your schedule and life! Learn ASL ocean signs (video to come this week) It's here! If you want to keep going, keep going! Add more goodness or take more time with each plan. If we add more to our study I'll add it to the post as well. Now, remember I said you'd get a chance to win some Lil Fishy toys of your own? Well, here's your chance. They are so generous to gift 3 winners with a Lil Fishy Aquarium AND a grab bag of Lil Fishy toys. When they say grab bag, they mean, lots of toys to grab. ETA: Sorry folks, the giveaway has ended. Join us for the fun instagram challenge! 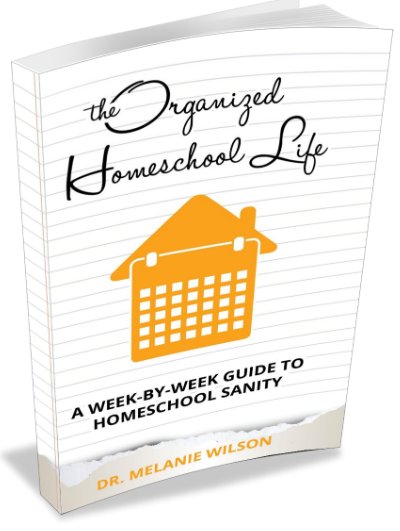 It'll be a fun way to meet other homeschool families and see what fun things they're up to. Oh, and did I mention 5 MORE chances to win some sweet goodness? Oh yeah. I told you Lil Fishy was generous. We're also having a Twitter party! Sa-weet! The few twitter parties I've joined in have been massively fun and a great way to connect with new friends and get great ideas and support. Yeah, you guessed it-- PRIZES! I hope your family enjoys this ocean unit study as much as we are! Stay tuned for the Head over and watch the Learn ASL ocean signs, as well as all the other activities and projects we're up to.